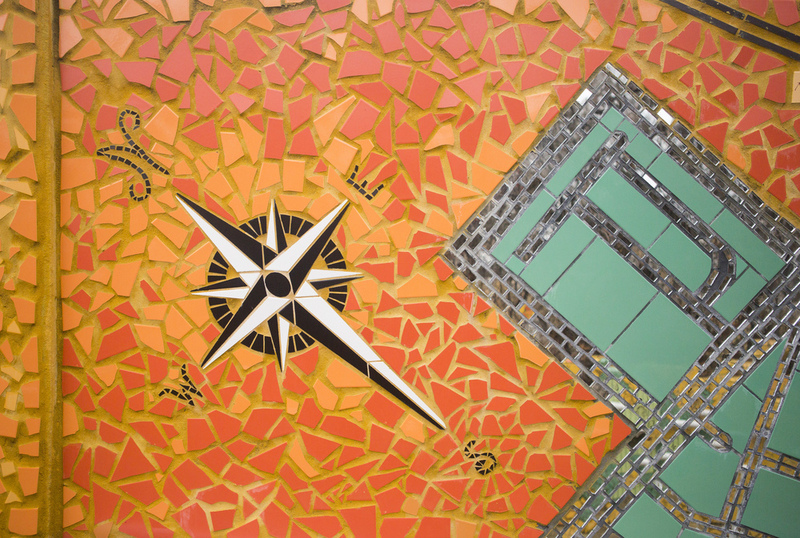 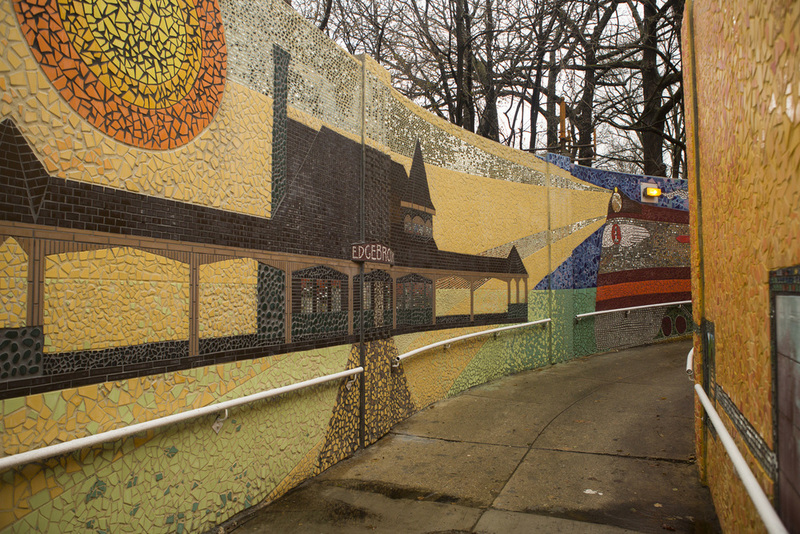 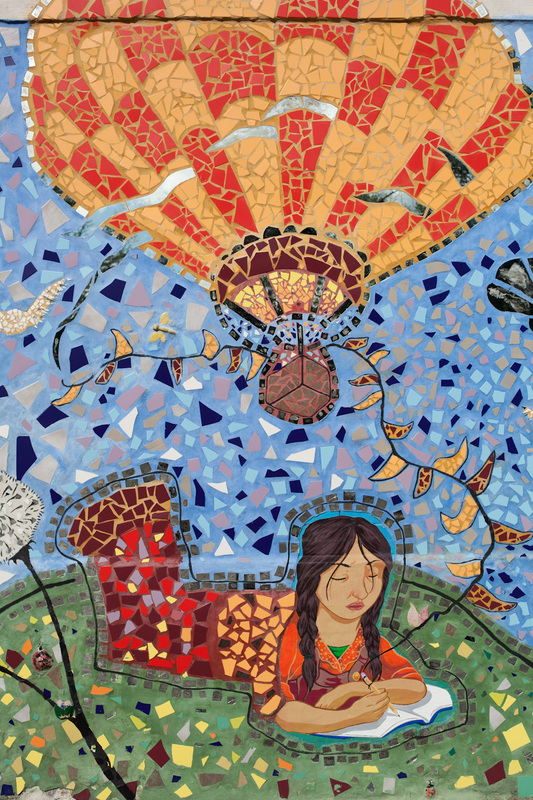 Description: The pedestrian underpass, which connects 3 communities, is covered with images of native flowers, the area's ties to the railroadm and the region's history with Native Americans, especially Billy Caldwall. 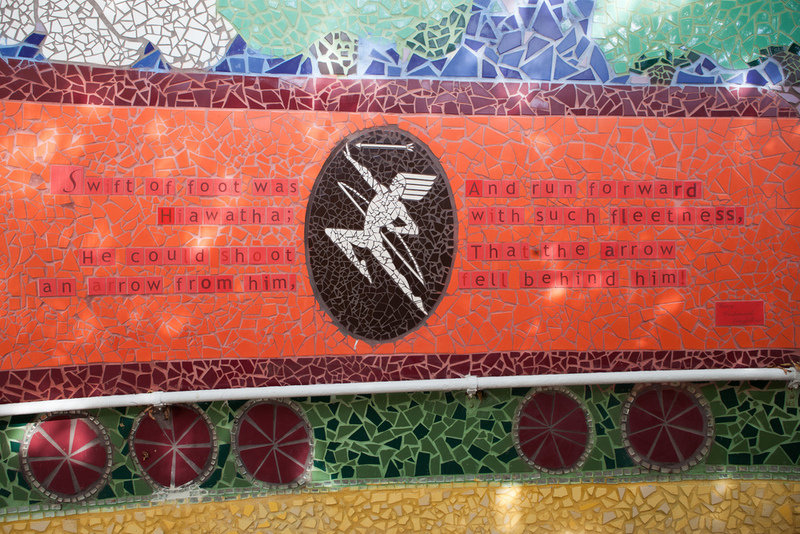 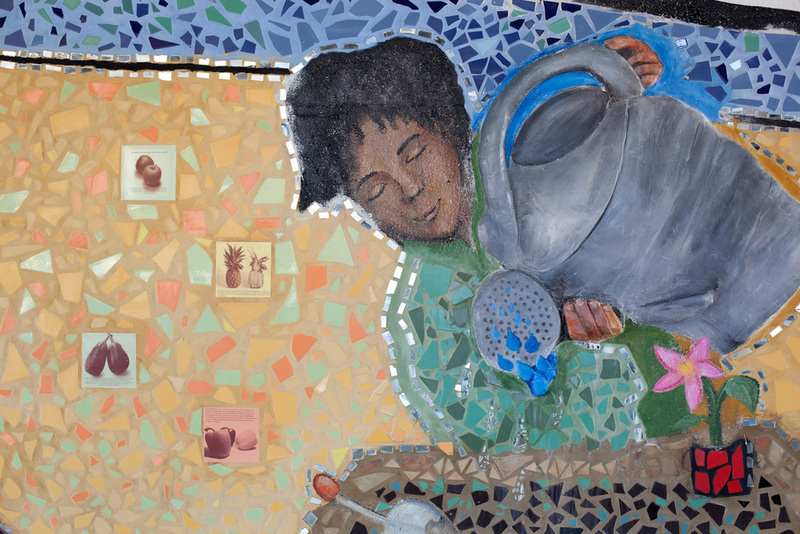 Description: Over 4 years, GSM completed 4 murals here, the largest of which faces the school's field and playground along Ashland Ave and illustrates that "we are the authors of our lives." 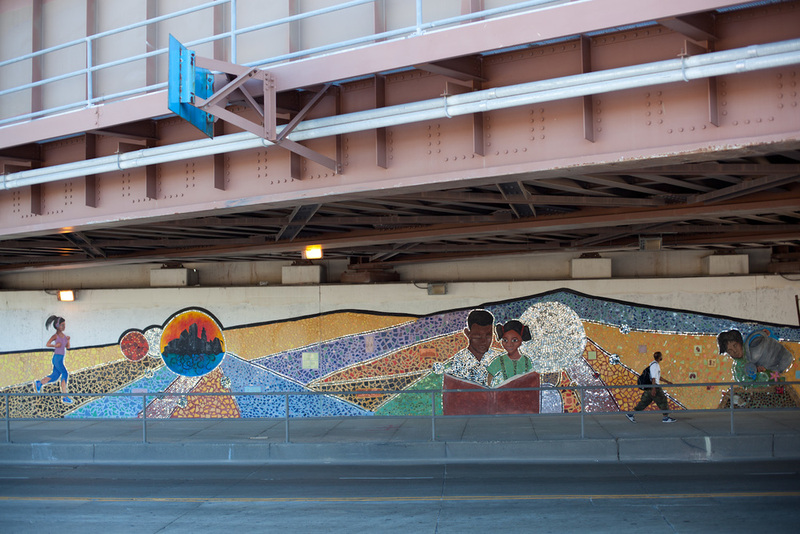 Description: Located on the Chicago Avenue underpass between Kedzie and Sacramento Aves, the murals features images of healthy living.